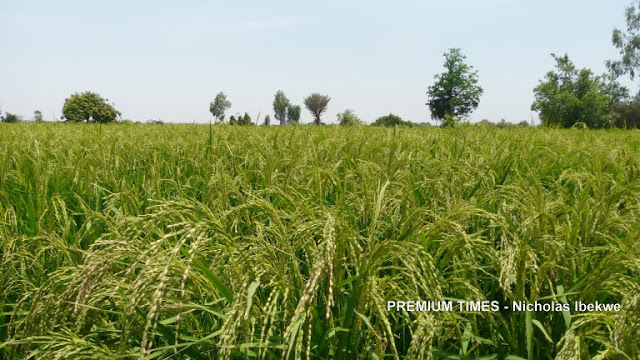 The Federal Ministry of Agriculture and Rural Development on Wednesday blamed the scarcity of local rice in Nigerian markets to disconnect between integrated rice millers and the supply chain. Fatimah Aliyu, a Deputy Director, Rice Value Chain in the ministry, stated this in Abuja. Mrs Aliyu spoke at the 2nd National Congress, Policy Dialogue and Inauguration of the Board of Trustees of Rice Assured Advocacy Forum (RAAF), facilitated by John A. Kufuor Foundation (JAKF). She said though there was a huge market for local rice, integrated millers were reluctant to push out their products for fear of price competition with imported rice. Mrs Aliyu was responding to complaints by representatives of some rice millers who claimed that most Nigerians preferred imported rice to local rice because of its cheap price. The millers blamed the high price of local rice on production cost, resulting from poor power supply, high transport fare and smuggling of foreign rice. “There is market for Nigerian rice. There are people willing to pay the high price for it because of its high nutritional value, but they cannot get it to buy. There is that market disconnect that has to be looked into,’’ Mrs Aliyu said. She urged stakeholders in the rice value chain under the RAAF’s platform to brainstorm on the issue and come out with suggestions on how to tackle the problem. “We are open to all those suggestions because it is part of policy advocacy. “Once you, the stakeholders, give us those suggestions, the government is going to look at them because the situation is also a problem to the government. “Integrated millers have invested so much in the business, and even government has also invested so much in it. So, it is of importance that integrated millers succeed,’’ she said. The first National Deputy President of RAAF, Rafau Lawal, called for a policy to encourage consumption of Nigerian rice as is done in Tanzania and other countries. Mr Lawal said that one of the policy measures being looked at was the branding of Nigerian shops for local rice. The News Agency of Nigeria (NAN) reports that RAAF is a national dialogue platform, aimed at harmonising rice value chain actors in Nigeria to advocate for better policies in the sector. It was set up during the first phase of the Competitive African Rice Initiative (CARI), between June 2014 and June 2018.